Bollywood superstar Shah Rukh Khan has unveiled yet another innovation with ‘RA.One‘, showcasing his truly pioneering nature. In an entertaining launch event, he introduced the new PlayStation title: ‘RA.One – The Game‘. The game has been developed in collaboration with Red Chillies Entertainment and Sony Computer Entertainment Europe (SCEE), and looks towards creating an interesting extension to the ‘RA.One’ brand of entertainment. The much awaited game will be immediately available exclusively on key PlayStation platforms of PS2 and PS3. To further capture the international audience of Bollywood and capitalize on Shah Rukh Khans popularity worldwide, SCEE has also published the same on the PlayStation Network (PSN). The glitzy launch event in Mumbai went ahead to showcase the strong linkages between the actual movie and the game; both in terms of storyline as well as the looks of the key characters of Shah Rukh Khan, Kareena Kapoor, Arjun Rampal. The game was launched in true Bollywood style and interestingly brought out the connections between the film and the game. With all the above firsts, what makes the game uniquely interesting is to see the favorite Bollywood personalities come alive in a digital avatar so true to life on the PlayStation platform. This also showcased the seriousness put behind the full cycle game which is quite contrary to the promotional digital games we have become habituated to see with several Bollywood movies. This marks an important milestone for the Indian entertainment industry. The Indian film industry can now embark upon a win-win business model with the game development industry to tap the predominantly young audience of India. The games are priced at Rs. 499/- for the PS2™ and Rs. 999/- for the PS3™. In addition, PlayStation has also unveiled a unique ‘RA.One – The Game’ PS2 bundle which will be available for Diwali sales for only Rs. 5,990. The PS2 bundle will carry a personal message from Shah Rukh Khan himself with his autograph. Atindriya Bose, Country Manager – PlayStation said, “We have always believed in using localized content and Indian developers to expand and capitalize on the nascent Indian gaming industry. The partnership with Red Chillies for ‘RA.One – The Game’ has been extremely rewarding with a true matching of a pioneering vision. A strong personality, like Shah Rukh Khan allocating so much of time and effort behind this venture – we are very confident of the overwhelming success of this game. 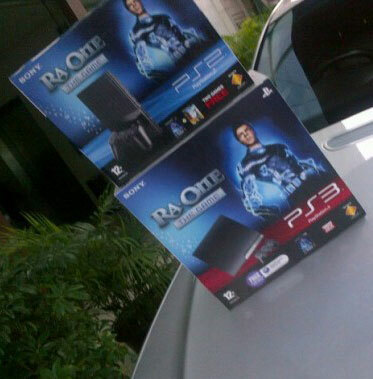 We believe that combination of the movie RA.One and ‘RA.One – The Game’ will help enhance the appeal of PlayStation amongst a wider audience“. He further added, “This will be the first Bollywood title on the PS3 platform, which we have enough confidence of publishing, and making available for International audiences. This is a true cross-over of the Indian film industry into the digital gaming platform on an international scale“. Bollywood Superstar, Shah Rukh Khan said, “I was extremely happy with the interactions with SCEE team in developing the game. They understood the vision I had for ‘RA.One – The Game’ and were gracious in allowing me to write the storyline. Like true experts, they adapted the story and came back with strong gaming ideas around it. This provided the framework for developing the PlayStation game within a very tight timeline, integrating with the release of the movie ‘RA.One’. This game marks the true collaboration of two pioneering teams behind the movie and the game”. 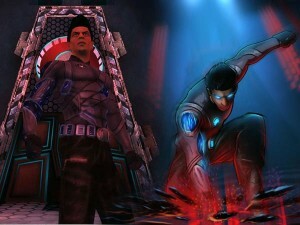 ‘RA.One – The Game‘, has been developed by a leading Indian game development studio, Trine Entertainment Ltd. The project has been under continuous supervision of a dedicated team from Sony Computer Entertainment Europe (SCEE) based out of London, UK. Sangam Gupta, CEO, Trine Entertainment ltd – PlayStation said, “We are very excited about the Sony PlayStation – RA.One game association and take pride in the fact that ‘RA.One – The Game’ will be a landmark in the Indian gaming market. We commend Sony Computer Entertainment and Red Chillies Entertainment for their support and enthusiasm, and are excited with the way the game has evolved”. Tanaaz Bhatia MD of Bottomline Media pvt Ltd (the marketing agency who worked on the association) said “We saw this as a great opportunity to bring together two entertainment mediums to create a first of its kind, never been done before tie up. Sony PlayStations association with Bollywood film ‘RA.One’, which lends itself to the gaming platform, is a new innovation in the field of marketing for the world of Hindi cinema and we are very excited to be part of this venture. So go ahead and take a sneak preview of the superpowers to expect in India’s biggest superhero/VFX movie, and play in a complete unique sci-fi environment. Watch out for our exclusive full report!